Kampuchéa (DK) from 1976 to 1979. He directed the mass killing of intellectuals, professional people, and city dwellers—over a million of his own people. Pol Pot was born Saloth Sar on May 19, 1928, near Anlong Veng, Cambodia, the second son of a successful landowner. Pol Pot's father had political connections at the royal court at the Cambodian capital of Phnom Penh, some seventy miles from Prek Sbau, the small hamlet in Kompong Thom province where Pol Pot was born. Visits by court officials and even by Cambodian king Sisowath Monivong himself to Pol Pot's father's home appear to have been common. Pol Pot often denied that he was Saloth Sar, probably to protect his family. He adopted his new name by 1963, and even after he had become premier, people were unsure of his actual identity. After returning to Cambodia in 1953, Pol Pot drifted into the Vietnamese-influenced "United Khmer Issarak (Freedom) Front" of Cambodian Communists. The Front was one of many Cambodian groups that opposed French control of Cambodia as well as the government of Prince Norodom Sihanouk. After Cambodia won its independence from the French in 1954 Pol Pot became involved with the Khmer People's Revolutionary Party (KPRP), the first Cambodian Communist party. His hatred for intellectuals (people who think, study, and understand) and politicians grew during this time. He was influenced by Tou Samouth, a former Front president who was interested in making the KPRP a genuinely Cambodian organization that could rally members of different groups against Sihanouk. The KPRP had conflicts with the Vietnamese, who wanted to control the anti-Sihanouk Cambodian resistance. In September 1960 Pol Pot and a handful of followers met secretly at the Phnom Penh railroad station to found the "Workers Party of Kampuchéa" (WPK). Samouth was named secretary general. By 1963 Pol Pot had replaced Samouth as party secretary, and Samouth later disappeared under mysterious circumstances. For the next thirteen years Pol Pot and other WPK members disappeared from public view and set up their party organization in a remote forest area. 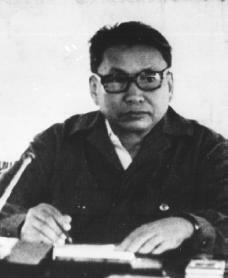 During this period Pol Pot worked to strengthen his leadership position in the WPK and to hold down Vietnamese elements in the anti-Sihanouk movement. However, he carefully avoided a feud with the Vietnamese Communists, who were increasing their hold on parts of Cambodian territory. He also traveled to Beijing, China, to receive organizational training. Upon his return to Cambodia in 1966, the WPK changed its name to the Communist Party of Kampuchéa (CPK). The CPK led many demonstrations against the Sihanouk administration, which caused Sihanouk to order the execution of dozens of CPK members, whom he referred to as the Khmer Rouge ("Red Khmers"). In December 1969 and January 1970 Pol Pot and other CPK leaders prepared to take down Sihanouk. But the military in Phnom Penh beat them to it, overthrowing Sihanouk in March 1970 and bringing Lon Nol to the Cambodian presidency. In 1971 Pol Pot was reelected as CPK secretary general and as commander of its "Revolutionary Army." The Vietnamese became angry when the CPK refused their request to begin talks with Lon Nol and the United States as Vietnamese-U.S. discussions took place in Paris. By terms of the Paris Accords, the Vietnamese pulled some of their troops out of Cambodia in early 1973. CPK "Revolutionary Army" units quickly took their place, and clashes between Lon Nol's and Pol Pot's forces continued. In April 1975 Phnom Penh fell to several Communist Cambodian and pro-Sihanouk groups. For nearly a year Pol Pot and other Cambodian Communists, as well as Sihanouk, struggled for power in the new state of "Democratic Kampuchéa." Another CPK party congress in January 1976 led to Pol Pot's reelection as secretary general, but also revealed differences of opinion between Pol Pot and other members of the party. Relations with Vietnam also continued to worsen. In April 1976, after the decision by Shanouk to step down as head of state, a new Democratic Kampuchéa (DK) government was proclaimed, and Pol Pot became premier. However, his authority was challenged by Vietnam-influenced party leaders. Beginning in November 1976 Pol Pot began to remove many of his rivals, including cabinet ministers and other top party leaders. Meanwhile, Pol Pot's reform policies drove many people from major cities and forced tens of thousands into labor. The Cambodians were denied food and medical care, and mass killings of all suspected opponents—especially intellectuals or those with political experience—took place. Pol Pot was responsible for the deaths of over one million Cambodians—nearly 20 percent of the country's total population. Although opposition to Pol Pot was growing among party members, his visits to China and North Korea in September and October 1977 increased his standing among other Asian Communist leaders, even as fighting with Vietnamese border forces grew worse. Continued Vietnamese attacks on DK territory left Pol Pot with a shaky hold on power, and finally he and other DK leaders were forced to flee Phnom Penh in January 1979. They regrouped and established an underground government in western Cambodia and in the Cardamom mountain range. In July 1979 Pol Pot was sentenced to death in absentia (without him being present) for the murder of his own people. The sentence was issued by the new government of the "People's Republic of Kampuchéa," installed with the help of Vietnamese forces. With world attention focused on Cambodia, Pol Pot stepped down as DK prime minister in December 1979. However, he remained as party secretary general and as head of the CPK's military commission, making him the overall commander of the DK's thirty-thousand-man force battling the Vietnamese in Cambodia. Little was known of Pol Pot's activities after that. In September 1985 the DK announced that Pol Pot had retired as commander of the DK's "National Army" and had been appointed to be "Director of the Higher Institute for National Defense." After several years of living underground, Pol Pot was finally captured in June 1997. The Khmer Rouge had suffered from internal conflicts in recent years and finally split into opposing forces, the largest of which joined with the government of Cambodia under Sihanouk and hunted down their former leader. Pol Pot was sentenced to life in prison. While under house arrest, he died of heart failure on April 15, 1998. Chandler, David P. Brother Number One: A Political Biography. Boulder, CO: Westview Press, 1992. Stefoff, Rebecca. Pol Pot. New York: Chelsea House, 1991. Government of Margaret Thatcher was supporting Khmer Rouge and SAS was training them how to plant bombs and kill people, American also were supporting Pol Pot after 1979 as he was against Vietnam, American left Cambodia in 12 of April 1975, five days before Khmer Rouge took power of whole Cambodia ( Operation Pull Eagle ), leaving all Cambodians to get killed and starved to dead. Americans also killed lots of Cambodian bombing their board with Vietnam and that's how farmers started supporting Pol Pot. So it looks like not only Pol Pot is responsible for dead of so many people, American done good job there too. Let's don't forget about Agent Orange in Vietnam, where still many kids are born with deformations and disabilities after Americans were spraying rice fields with chemicals. U.S.A wasn't helping anyone, there were trying to control Asia during Cold War just to have more control over Communistic Russia.